A simple game that can be enjoyed by a variety of ages. 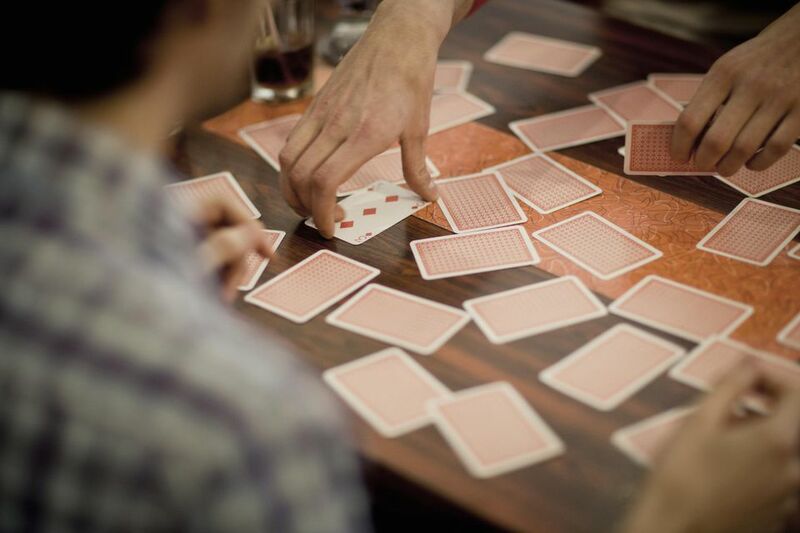 Concentration, also known as Memory, is a great family card game. It's easy to make the game easier or more difficult, and younger players tend to be able to compete with older players because they generally excel at memory-based games. To collect the most pairs of cards. Shuffle the cards and lay them on the table, face down, in a pattern (e.g. 4 cards x 13 cards). The youngest player goes first. Play then proceeds clockwise. On each turn, a player turns over two cards (one at a time) and keeps them if they match numbers. If they successfully match a pair of numbers, that player also gets to take another turn. When a player turns over two cards that do not match numbers, those cards are turned face down again and it becomes the next player’s turn. To make the game easier, cards can be removed in sets of 4 (e.g. all of the 2s and 3s). Time yourself to see how fast you can find all of the matching pairs. Compete with yourself by trying to get a faster time in a second game. Players keep each pair they find. At the end of the game, each pair scores one point. When all the pairs have been found, the player with the most points wins.